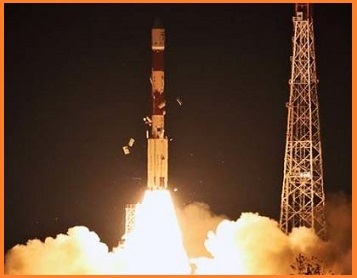 The Indian Space Research Organisation (ISRO) launched a students' satellite Kalamsat and an imaging satellite Microsat-R onboard from PSLV C44 rocket from the Satish Dhawan Space Centre in Sriharikota, Andhra Pradesh on 24th January 2019. After about 14 minutes into the flight, the PSLV C44 rocket ejected the 700-kg Microsat R satellite at an altitude of about 277 km. The Kalamsat is a 10 cm cube nanosatellite weighing about 1.2 kg and has a life span of about two months. It has been prepared by a student and Chennai-based Space Kidz India is a small satellite (10 x 10 x 10 cm) and is meant for HAM radio services. The Kalamsat has been developed by Space Kidz India and their team including Rifath Sharook, Srimathy Kesan, among others. The Kalamsat satellite was the first to use the fourth stage (PS4) of the launch vehicle PSLV-C44 as an orbital platform. The fourth stage moved to higher circular orbit so as to establish an orbital platform for carrying out experiments. With this launch, India became the first country to use the fourth stage of a space rocket as an orbital platform for micro-gravity experiments.